I moved to Bonaire when I was 11 years old with my parents. 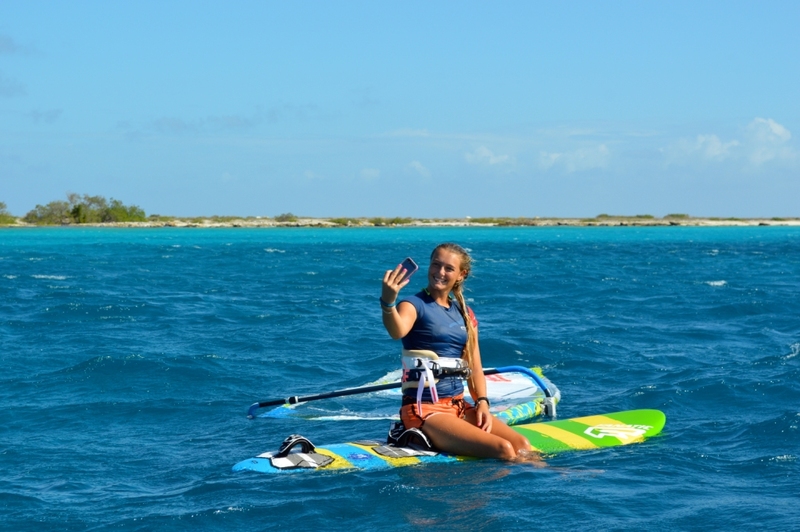 I started windsurfing at 13 years and looked very much up to all the big windsurfers from Bonaire, that’s what I wanted also. So I started training, training and training……. In 2011 PWA came to Bonaire and there were not enough girls to compete so I went for it and did my first PWA, I was very nervous and still am when I have to compete. It was a very good experience and everybody was so nice it felt like one big family. I still like competing because you will see everybody again and it feels like family you didn’t see for a long time. Now I am in my last year off school and hope that next year I can do some traveling and windsurfing in different places. I would love to go to Brazil and Cape Town and windsurf there, although Bonaire is very good in the winter time for training. Well we will see what the future will bring…….. 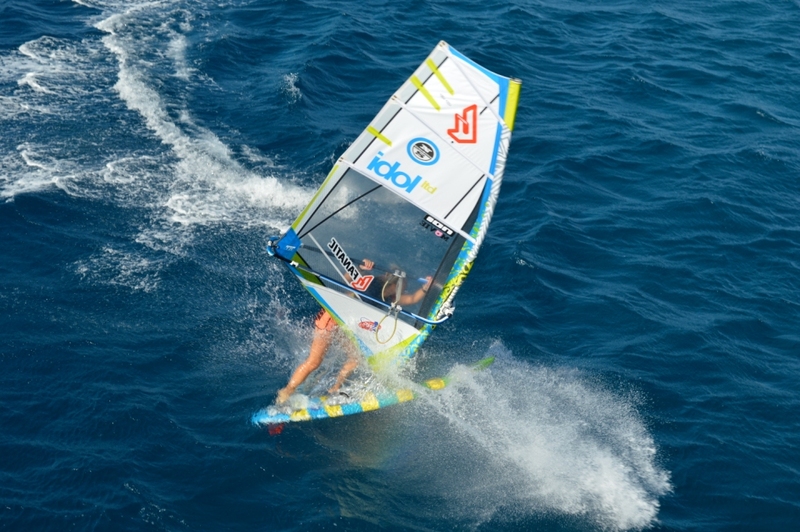 I really love freestyle windsurfing and think it would be great to have more girls on the water to keep this sport alive! If I can motivate more girls on the water and into this sport I will be doing anything for that! 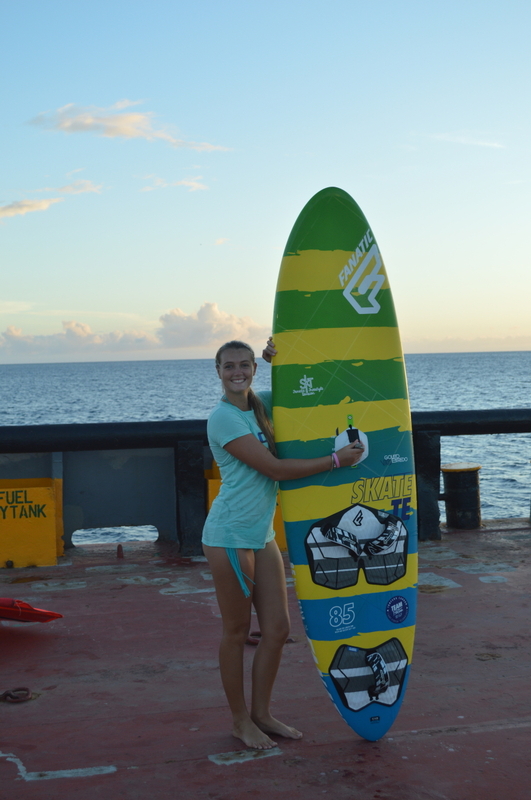 To get more girls on the water and get a podium place on the PWA women freestyle. A day when I am with all my friends on the water and everything you try works out. Or a day on the water with a lot of wind and a lot of fun. At Sorobon, but here you are never alone on the water there will always be somebody you know and have fun with. Never give up! And stay positive. When I go on the water I always get those nerves in my stomach and it’s always hard to let this feeling go… but once the heat starts and I land some moves I feel confident again. To always concentrate on the moves… and don’t just do it, but think before you do. I have to finish school this year, and I am planning on some traveling to windsurf in different places and meet different people. Keep trying because when you start windsurfing you really need some passion to learn! but when you can go up and down you will never stop doing it! It’s just so amazing to be on the water and the wind pushing you forward.